This Calla Lily appetizer is made to replicate the actual flower. 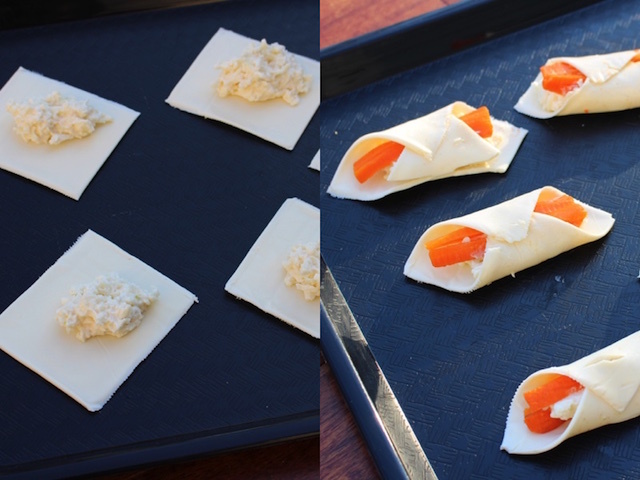 It is made from american cheese slices which are then filled with a mozzarella spread and carrot pieces. This appetizer is appealing and tasty. Make this your center piece next time you want to serve finger foods. 1.) 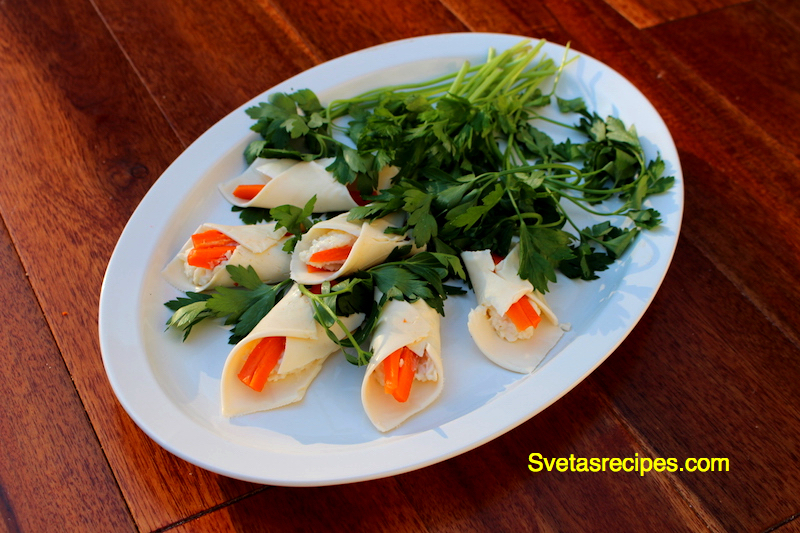 Cut cooked carrots into long pieces. 2.) Mix mayonnaise with mozzarella cheese and add crushed garlic. 3.) Spread the mozzarella mixture in the center of each slice of american cheese. 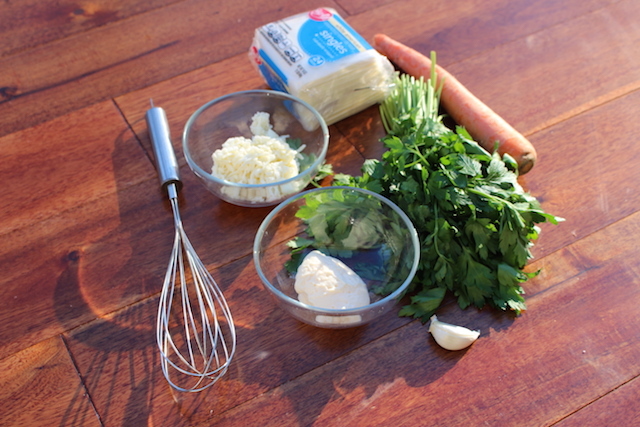 Place two pieces of cooked carrots on top of each cheese mixture. 4.) Fold in two outer corners towards the inside. 5.) Arrange them into an array with some parsley leaves so it looks like a flower. Cut cooked carrots into long pieces. Mix mayonnaise with mozzarella cheese and add crushed garlic. Spread the mozzarella mixture in the center of each slice of american cheese. 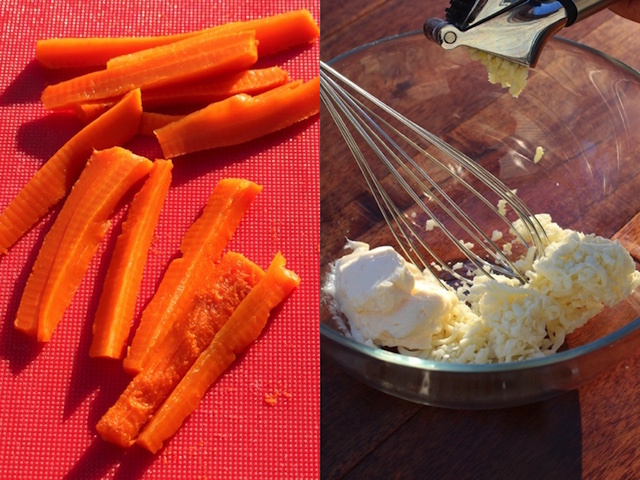 Place two pieces of cooked carrots on top of each cheese mixture. Fold in two outer corners towards the inside. Arrange them into an array with some parsley leaves so it looks like a flower.